It is not Xmas. It is not New Year. It is not Valentine’s Day. It is still cold in the Northern Hemisphere. It is not yet Spring. So I thought I’d introduce a note of celebration and good cheer this week, by posting Anne Whitaker’s Kreativ Blogger Awards 2010. 1. I have far too many planets in Leo. 2. Just as well they’re in the Twelfth House! 4. My birth was so premature and I was so tiny that I was anointed in olive oil, wrapped carefully and placed in a drawer – too small for a cot – and not expected to live. Wrong!!! 6. At a time when I was utterly dismissive of astrology, an astrologer I met by accident in a launderette drew up my chart and predicted that I would become an astrologer in my early thirties. Right!!! That’s enough of that! Here are my Kreativ Blogger Award recipients, in alphabetical order. As Jude Cowell has pointed out, there are a considerable number of high quality blogs on the Web, and I am acutely aware of only knowing a small selection well enough to nominate them. A large part of the purpose of this award is to encourage our community to spread the net by our own nominations, enabling other great bloggers to have their work picked out and highlighted. 3. Donna Cunningham – will already be known to many of you as a world class astrologer, writer and teacher – and is now a brilliant blogger at her SkyWriter blog. Check out her online writing seminars at Moon Maven Publications, along with her books in e-book form or hard copy. I hope to be featuring Donna’s writing on my Guest slot next month. “Sharing stories, trading secrets, weaving new realities of threads pulled from discarded memories or long forgotten dreams – those are the tasks of a new writer, dedicated to new endeavors. I never fail to find affirmation and inspiration in her wonderful writing – her blog gathers many comments, and when you visit The Task at Hand you will understand why…. This entry was posted in Astrology Article Archive 1 – "Not the Astrology Column", Award Winning Blogs 2010/12 and tagged Anne Whitaker Writing from the Twelfth House, ASTROLOGY: the art of awareness, Chiron, Dawn Bodrogi, Donna Cunningham, Joyce Mason, Jude Cowell, Jude's Threshold, Kreativ Blogger Award, Lauren Lesko, Leah Whitehorse, Linda Leinem, Lua Astrology – Navigation by the Stars, SkyWriter blog, Susannah, The Inner Wheel – Living with Astrology, The Lion and the Lightning Bolt, The Radical Virgo, The Task at Hand. Bookmark the permalink. Thanks so much for this, Anne. I’m honoured, especially since I’m the ‘new’ kid on the block. 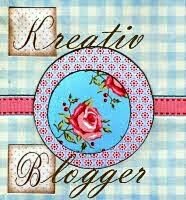 I’m looking forward to visiting the other blogs you awarded and making new friends there. you may be the ‘new’kid on the block, but your astrology is deep and fine. Enjoy the visiting! Anne, I am so honored! As if astrological knowledge didn’t do enough to help us live better lives; you are an example of the amazing friends in the astro-community that make the shared experience so much fun fun and so heartwarming. I’m proud to be in such great company in the awards, and happier yet to count you–and some of my fellow honorees–among my dear friends. many thanks for your kind replies. Sharing through the promotion of quality work is a very important facet of the most creative and heartwarming aspects of the Web. Even when the wheels grind exceedingly slow, they do grind 😉 I was so appreciative of your recognition, and wanted to do something lovely. The best thing I could think of was to include my links to you and my acknowledgement of your work here within a repost of “Lamb, Loom and Seed”, albeit differently titled in order to shift the focus a bit. You’re precisely right about the importance of sharing and mutual recognition on the web. Cyberspace may have its full quota of villains and boors roaming about, but there are more than enough lovely, creative sorts to balance them out. Here’s to another year of mutual inspiration! so good to hear from you and to know that my recommendation pleased you. You absolutely deserve it!I have re-read “Lamb, Loom and Seed” and will visit it again over the next week for a slow read, as we progress through Lent and toward Easter. It is a deeply nourishing piece for my Celtic soul at this time! And thank you for your generous words, and publicity. Hey this post is amazing. Iknow I have read this site a few times. You should explore my link. I run a poetry social network take a look and let me know what you think. this looks like a ‘blanket’ post – but I don’t mind giving your site a plug. Good luck with it!